First, of course, to Nora Dean, for giving music fans so many memorable recordings. Gino Coomans for sending me a recording of "What Ever Will Be Will Be". Craig Lawler for sending me a copy of the Nora Dean article from The Gleaner. Jefy Rude Attack (www.rudeattack.ch) for a recording of "Each Time". Mark Gorney for providing copies of the rare tracks Love & Power To The People, I Shall Be Free (and his notes on this single) and Man Walk and Talk. Noah Schaffer for alerting me to Nora Dean's 4/27/03 Boston gospel show and the fact that still performs live. Ken Burch for telling me that Nora grew up in the Parish of St. Catherine, Spanishtown, and that she is currently alive and well, living in the US with her family. Allen Kaatz for the image of Nora from the 45 RPM label. Olivier Albot for a sharing with me a recording of "Never Trust A Guardie Again", as well as info about and scans from the "Jamaica Magic" LP. David Howard for the news about the Vaseline ad. 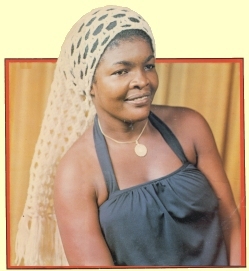 Souljah for alerting me to Nora's year of birth and some other tidbits published in the Virgin Encyclopedia of Reggae. Mike Atherton of Norfolk, England, for the correct authorship of "Eddie My Love". Nighthawk Records for their crucial database, Roots Knotty Roots, available for purchase at http://www.nghthwk.com/rkr/. Many of the dates, label, and producer information for recordings discussed on this site come from this source.